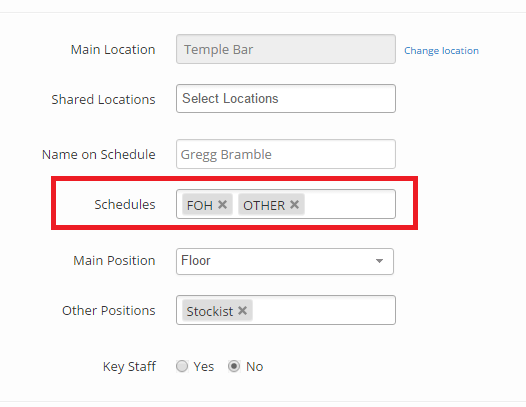 They will be listed with the active employees within the employee tab. Are they still on selected to be on that schedule in their profile? Do they have a future start date on their profile? Check if they have a start date in the details tab of their profile. If this start date is in the future the employee will not be shown on the schedule until that date. Any three of these reasons would cause an employee not to show up on the rota.